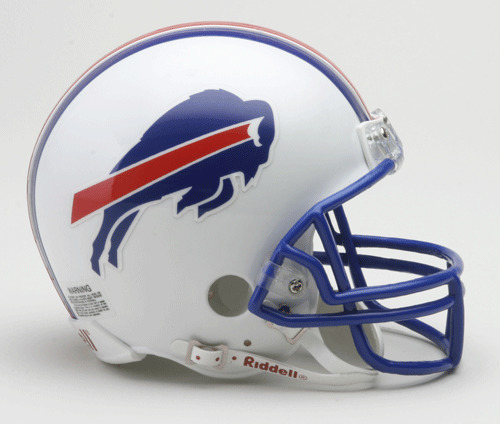 The Buffalo Bills were the 2nd best rushing team in the NFL in 2013, averaging 144 yards per game. But the loss of rookie QB EJ Manuel to 3 separate knee injuries led the Bills passing attack to just 193 yards per game (28th) thanks to below average play from Thad Lewis and Jeff Tuel. This offseason, the Bills added Sammy Watkins and Mike Williams to bolster their WR depth chart, and replace Steve Johnson who is now with the San Francisco 49ers. Johnson led the Bills in targets last season with 100. However, the team completed just 16 passing touchdowns, and no one caught more than 3. Even with one of the top rushing attacks in the league, Buffalo added Bryce Brown to the roster. C.J. Spiller is an injury waiting to happen and Fred Jackson is 33 years old. Unless you are in a 2 QB league, just ignore him. We did not rank him in our QB rankings. Spiller is entering a contract year. Not sure if that means big things are coming, or the Bills don't care because he is not in their future plans. He can rush for 100 yards on less than 20 carries on any given Sunday. However, he rushed for less than 50 yards 6 times in 2013. He is a valuable RB2, when healthy, but even with 933 rushing yards and 33 receptions in 2013, he only scored 2 touchdowns. Boom or bust. We ranked him 12th in our RB rankings. Jackson gained 100 yards just once last season, and still Spiller only gained 40 more yards than him. Consistency is key. I would not expect him to rush for a career high 9 TDs again, but Jackson will be a nice option during BYE weeks. We ranked him 32nd in our RB rankings. Watkins is expected to put up big numbers as a rookie. No one gained 700 yards via the air in 2013 for Buffalo, but Watkins could change that in 2014. Stevie Johnson gained 1000+ yards 3 years in a row from 2010-2012. He has big play ability and unless they use him in a lot of WR screens, he will be a more valuable non-PPR player. Either way he should only be a WR3 on your team as a rookie. We ranked him 41st in our WR rankings. You can throw out the past season, when evaluating Tampa Bay Buccaneers. Prior to that disaster, Williams caught 60 passes in 3 straight seasons from Josh Freeman, and gained 950 yards twice while catching 23 TDs. Now there is no chance he sees 125+ targets this year so his value is way down, but could be worth a late round draft pick. He will have to battle Robert Woods who caught 40 passes (87 tar) as a rookie and was tied for the team lead in TDs with 3. Marquise Goodwin is going get on the field because of his ridiculous speed. He only caught 17 passes (32 tar) in his rookie season, but averaged 16.6 yards per catch and also scored 3 times. Could be a PPR sleeper if they can use him in a Wes Welker like role. Chandler led the Bills in receptions with 53. Yup. He also led the team with 10 plays that went for 20+ yards. He has increased his reception and yards total in the previous 3 seasons, but after going back to back years with 6 TD receptions, he caught just 2 in 2013. We did not rank him in our TE rankings.